In a world of 24-hour home improvement programming, do-it-yourself projects have become wildly popular. Below is a guide compiled by leading experts in real estate, construction and design to help you decide what home improvement projects to invest heavily in and where you can save a dime! Splurge: Buy hardwood floors - and not just any hardwoods, make them uniquely yours. No longer are you limited to plain oak planks. Today you can customize your color, get an exotic wood like bamboo, elaborately design the borders of your room and on and on! According to the Hardwood Information Center, hardwood flooring can add as much as $10,000 to a home's resale value. They last a lifetime and are always in style, a worthy investment! Save: Maybe you're getting ready to move or you've just realized how abused your floors look. Don't immediately call a professional installer to refinish your floors - it can cost up to $2,000 for 400 square feet and is a cumbersome project. 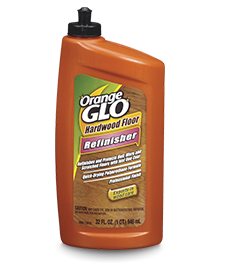 Do it yourself with Orange Glo Hardwood Floor Refinisher - a $12 bottle will do the same amount of space. Twenty minutes to apply and one hour to dry - you've saved yourself a lot of headaches, thousands of dollars and best of all your floors shine like new all over again! Splurge: Give yourself a budget to find one piece you love that you can build the rest of the room from - whether it's an antique hutch, unique upholstery or a funky, modern chair. Having the right piece as the central focus of your room can help create a foundation for your design - allowing you to use cheaper accessory options to bring the room together. Save: Instead of running to the mall and buying a complete new dining set or bedroom suite, consider buying unfinished furniture and staining it to give it a custom look. But be careful, get a quick tutorial on staining first and remember - a stain is permanent, make sure you test it and love it before you apply it everywhere. Mixing and matching is very popular as well, you can purchase an expensive dining table and two chairs but find 4 more at a flea market you can recover to add visual interest. Splurge: Granite countertops are worth a strict budget and savings plan. The unique beauty, durability and longevity of granite make it an elegant choice, despite the cost. 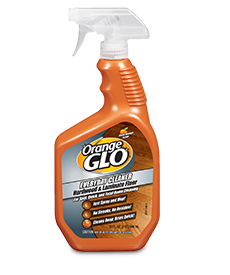 It is extremely heat- and scratch-resistant and easy to clean. Save: If your kitchen is in need of an update, start with the most dominant feature - the cabinets. A fresh coat of paint and simple switch of hardware can give you a whole new look in a weekend, for under $100. Also, don't forget the countertops and grout - often old stains and marks can be removed easily with the right product and it makes the space look clean, fresh and new.